How to Recover Lost Data from Sony Xperia? 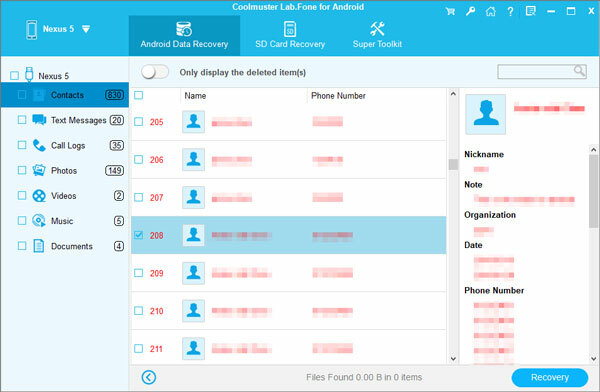 Home > Resources > Sony > How to Recover Lost Data from Sony Xperia? How to Print Out Text Messages from Sony Ericsson Phone? Each cell phone brand has its own features that appeal to people, then why do they tend to purchase Sony Xperia series? Certainly it has some advantages. For instance, it's famous for the excellent batteries which can boast a non-removable 3100 mAh battery and that can give you two days of power. Even under heavy use, you are able to walk away with around half the battery left at the end of the day. It also has one of the brightest displays on the smart phone market at present. However, no matter how excellent the Sony Xperia phone is, it can still suffer from data loss problem. Coolmuster Sony Data Recovery is a trustworthy and professional Android data recovery program which is capable of restoring almost everything, including photos, videos, music files, applications, contacts, text messages, call history and other documents from Sony Xperia and other Android smartphones with ease, no matter they are lost due to deletion or factory formatting. Download Sony Data Recovery and follow the steps below to retrieve your lost data from Sony Xperia. After you launch the Sony data recovery software, you should connect your Sony Xperia phone to the same computer via a USB cable. The software automatically recognizes the device. Select the data categories you want to recover and click "Next". Then, all selected file types on your Sony Xperia will be scanned out soon and displayed on the right side of window. You can view on the scanned out data and select the files wanted. Then, give a click on the "Recover" button on the bottom right to save them on your computer. 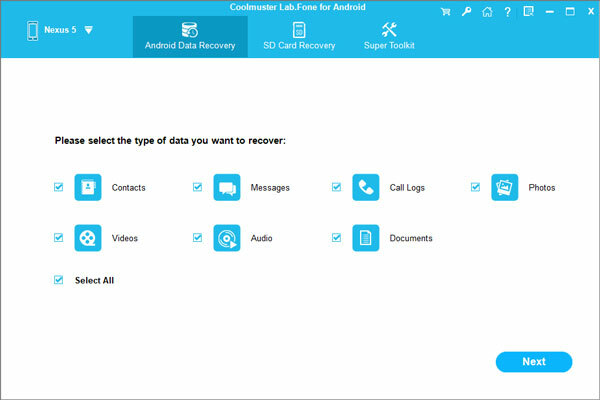 A simple way to recover your lost data from Sony Xperia, isn’t it?